CHICAGO -- A 24-year-old Illinois bartender last seen on Monday was found dead early Thursday, and authorities said she had been shot in the head, reports CBS Chicago. 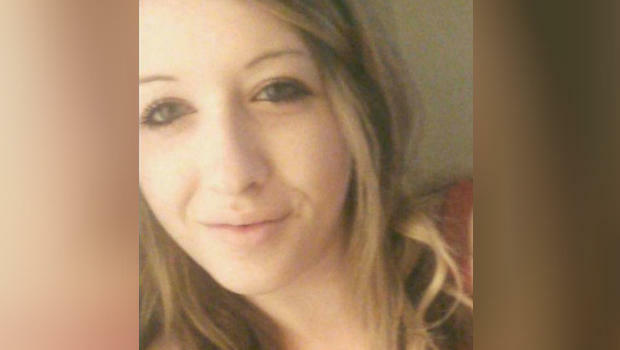 Kaitlyn Kearns was reported missing Tuesday. According to the Will County Sheriff's office, she was last seen at 1:30 a.m. Monday, after leaving her job tending bar at Woody's Bar in Joliet. Kearns' 1996 Jeep Cherokee was located in rural Kankakee County overnight Wednesday, and she was found dead at the scene, according to the sheriff's office. The Kankakee County Coroner's office was performing an autopsy, but has confirmed Kearns suffered a single gunshot wound to the head, according to the station. Detectives believe she was the victim of a homicide, but would not provide any further information about her death, and would not say if anyone was in custody. "Detectives believe that there is no threat to the community and that Kaitlyn was the intended target of this homicide," the sheriff's office said in a written statement. A Will County Sheriff's SWAT team executed a search warrant Thursday morning at Outlaws motorcycle club in Joliet as part of the homicide investigation. Detectives asked anyone with information on Kearns' death to call the sheriff's office at 815-727-8574. An anonymous tip also can be sent to crimestoppersofwillcounty.org.